We just call her SAM. 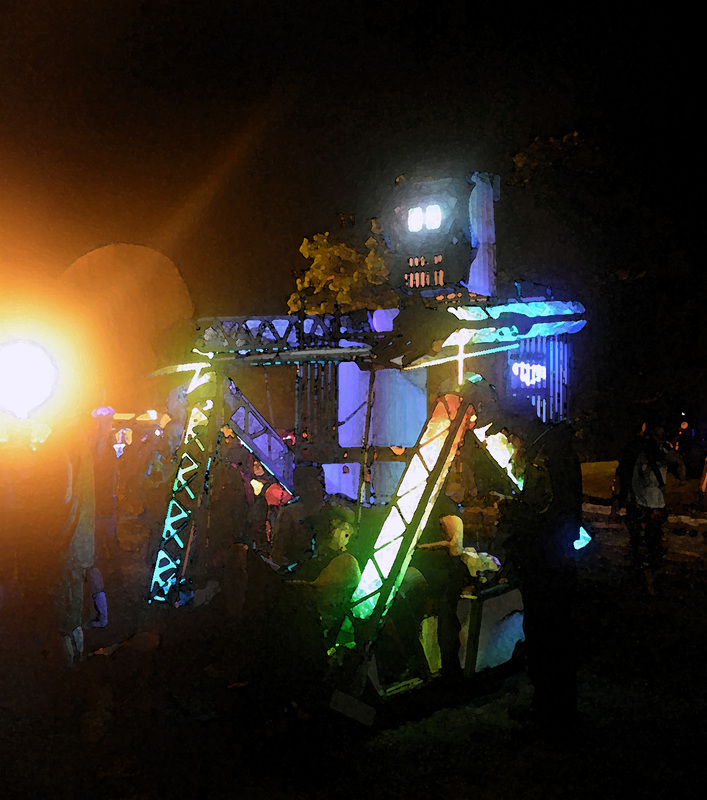 This mutant vehicle was built over 5 days at the Austin/Round Rock Tech Shop in late May, 2014. 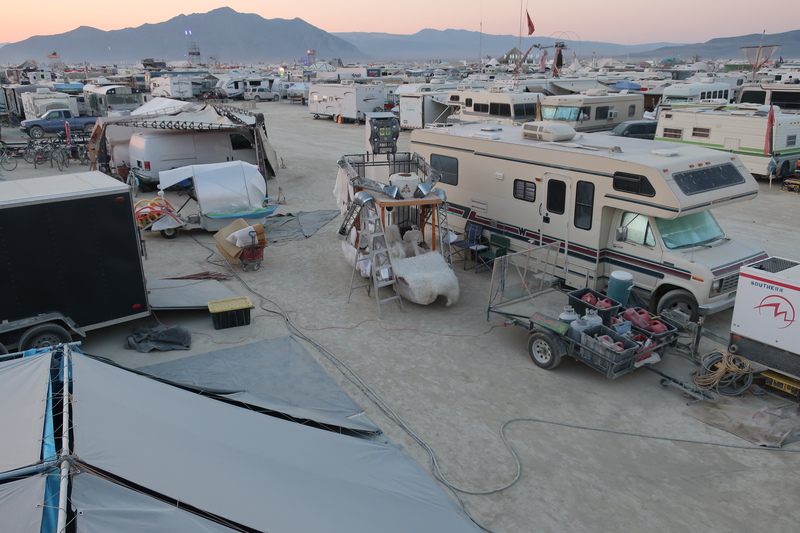 SAM was almost totally rebuilt in the spring/summer of 2018 for Burning Man. 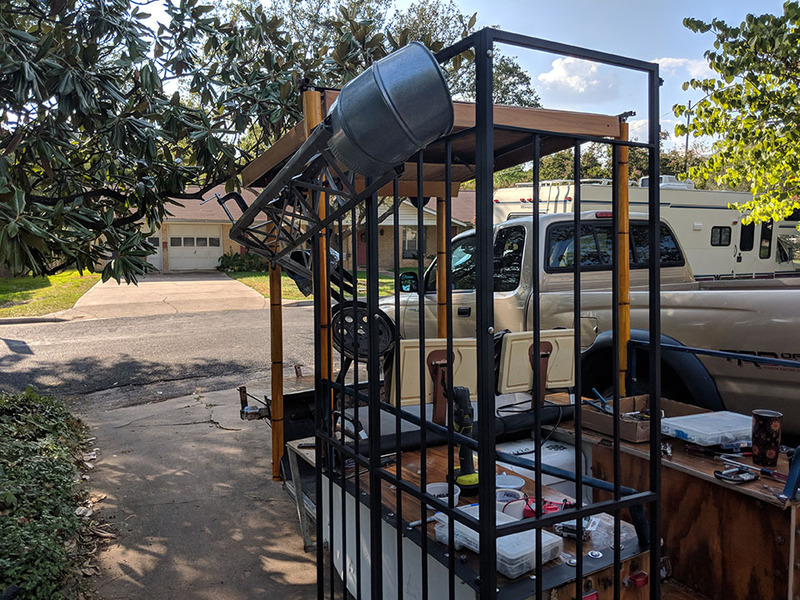 SAM got some upgrades thanks to an art grant from Ignition Philter, an arts grant organization in Austin, TX. 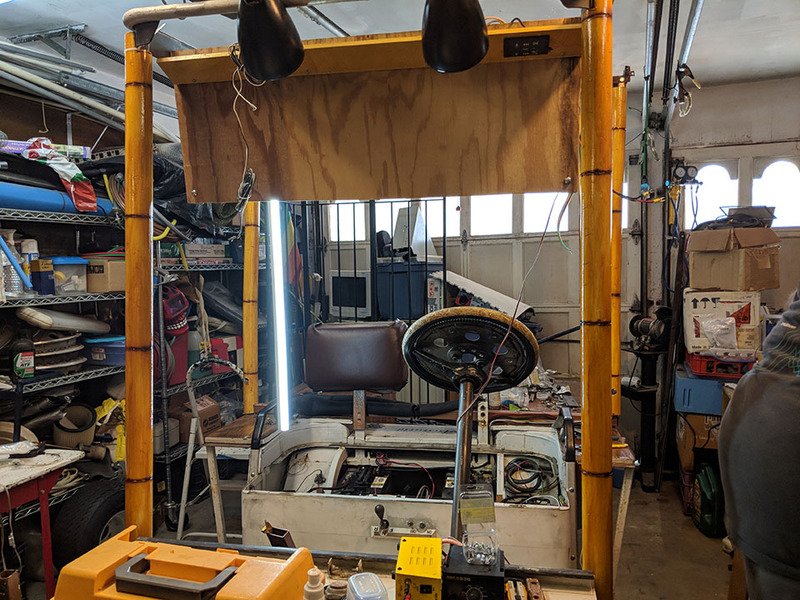 The grant provided funds for upgrading the lighting system in the robot head and was completed by Burning Flipside in May of 2018. 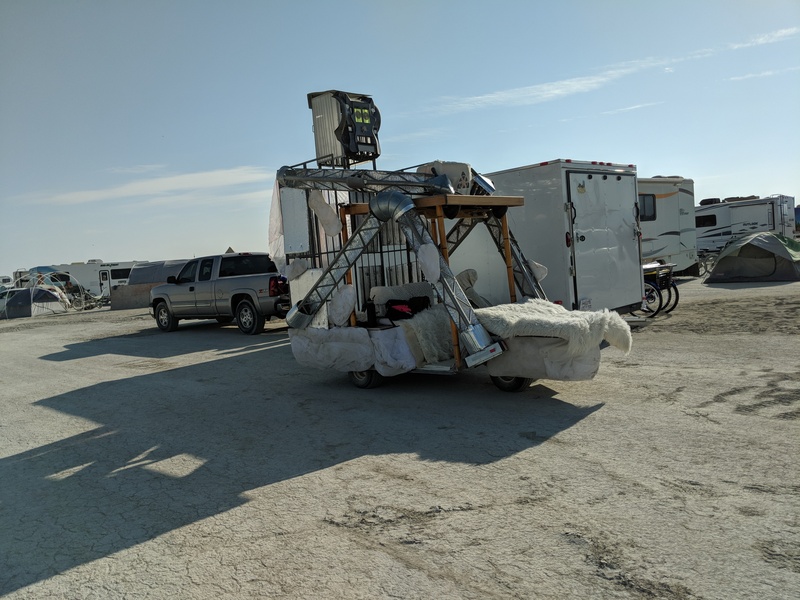 There was also a substantial rebuild of a large portion of SAM for Burning Man 2018. 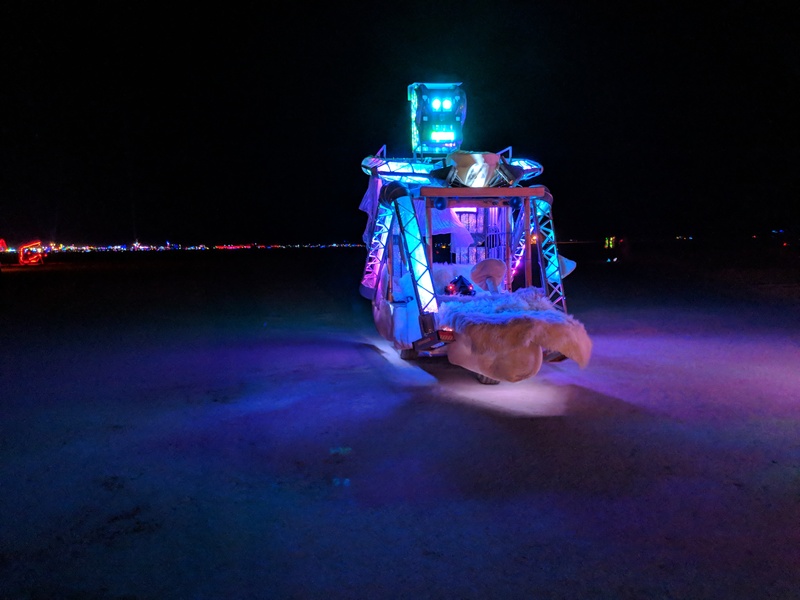 The 2018 theme for Burning Man “I, Robot” was a perfect fit for SAM. SAM really needed to be there to represent the robot Texas tribes. 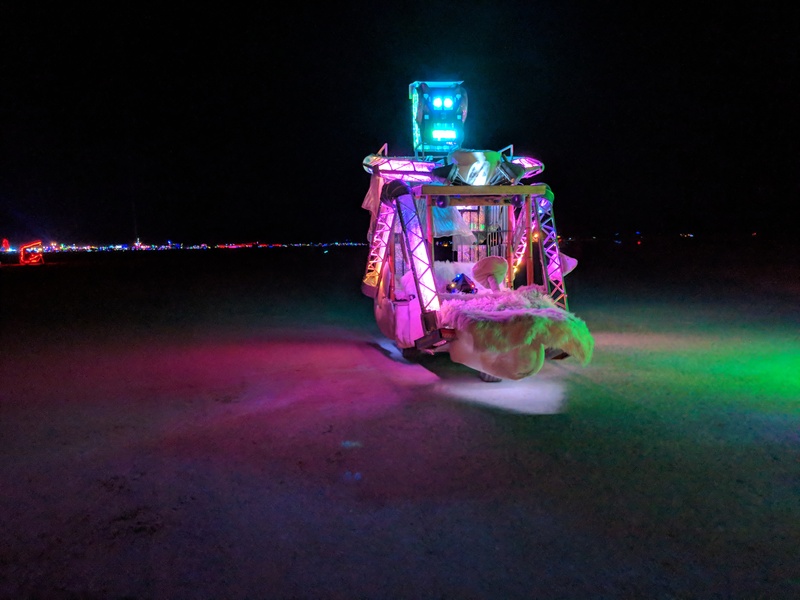 We were able to transport SAM to the playa in September of 2018 and she was granted a day and night time licence by the Burning Man Department of Mutant Vehicles (DMV) in 2018. 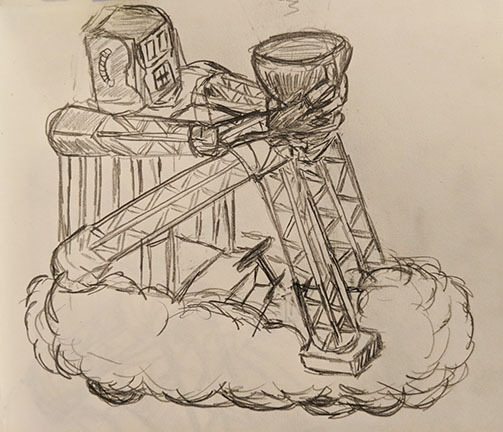 For Burning Man 2019: Metamorphoses the ITO now means (Initial Transformation Offering) Sona Astro Mechi (SAM) is ITO robot on a cloud enabled platform. 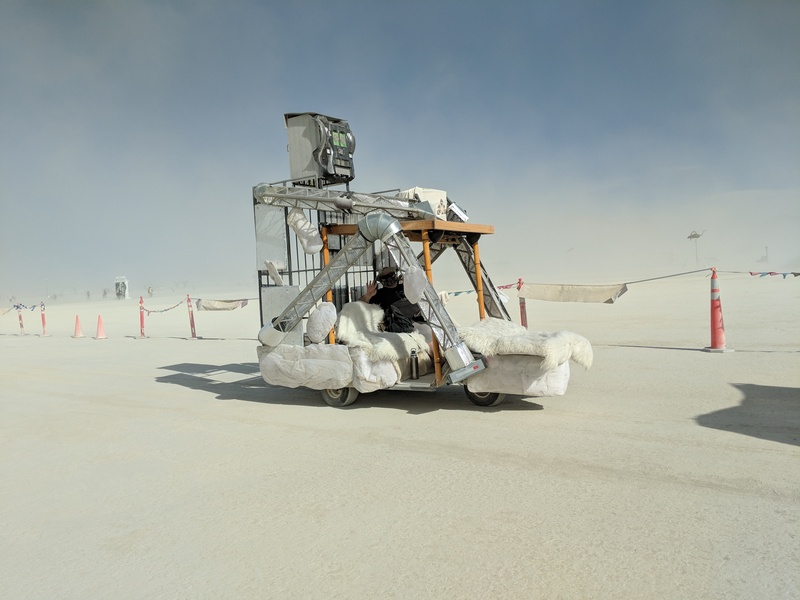 SAM began its life as scrappy, three wheeled electric vehicle that was no longer in use. 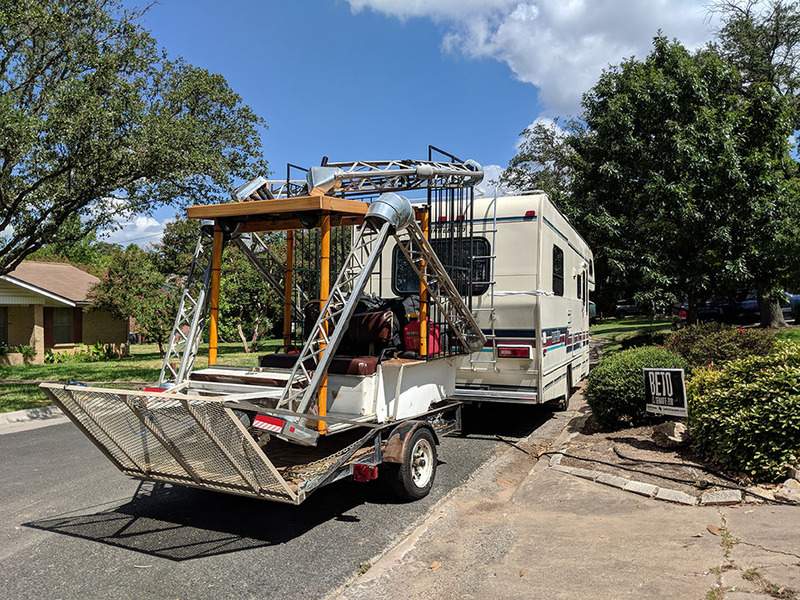 It sat abandoned outside a previous owner’s home. Sam achieved metamorphosis when it was selected for service by new owners. It transformed into a useful transportation service robot. 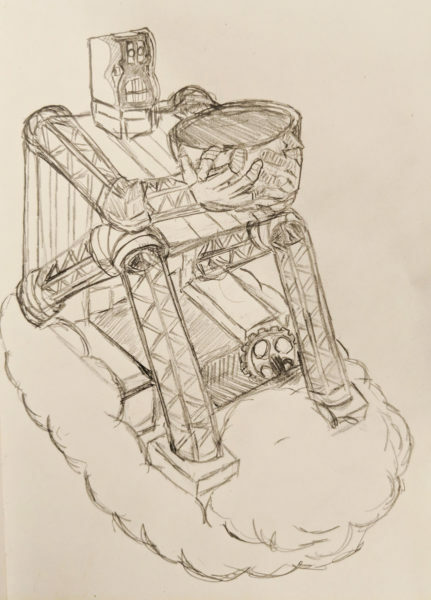 It was created to protect the humans it holds inside its body while traveling. 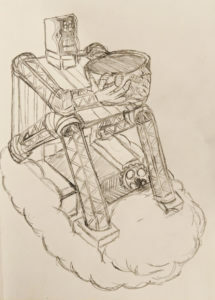 Robot SAM is happy to serve humans, to protect them, to help them find that happy balance in their lives. 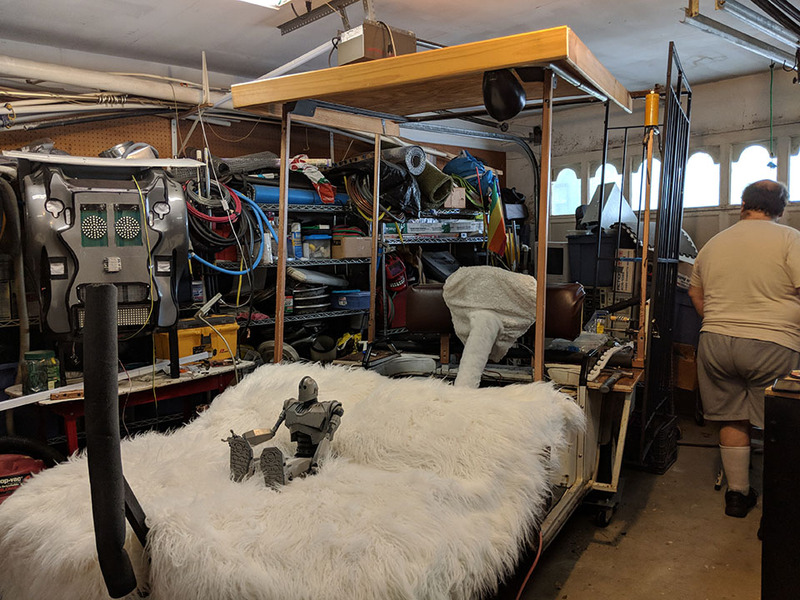 All who ride inside Robot SAM are encouraged to find their inner child and believe that the path to a renewed metamorphosis can be found. Everyone and everything can get a reset, even robots. Robots and humans can co-exist and thrive together. 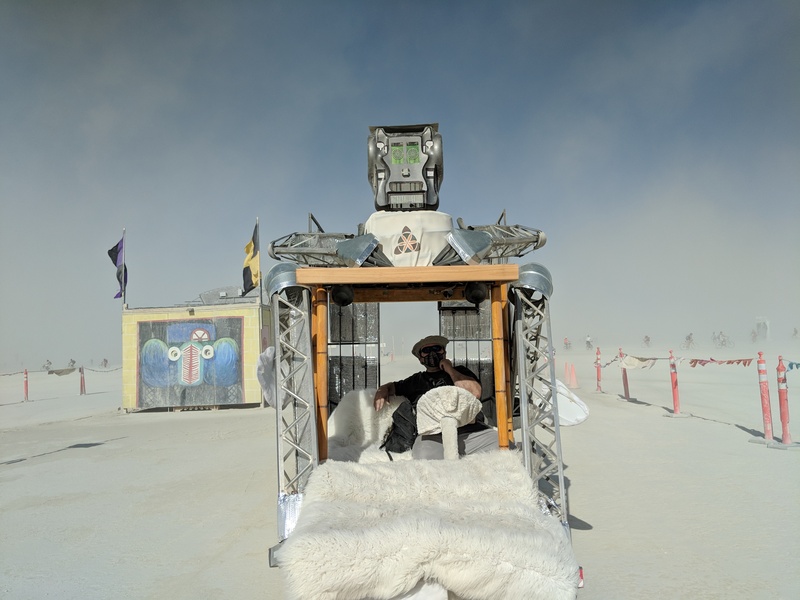 SAM our robot art car generates a lot of interest from people. People are really attracted to the LED changing colors and diffusion of the colored lights using the reflective material embedded in the legs and arms. We get a lot of questions on how it was built and what was our inspiration behind the design. 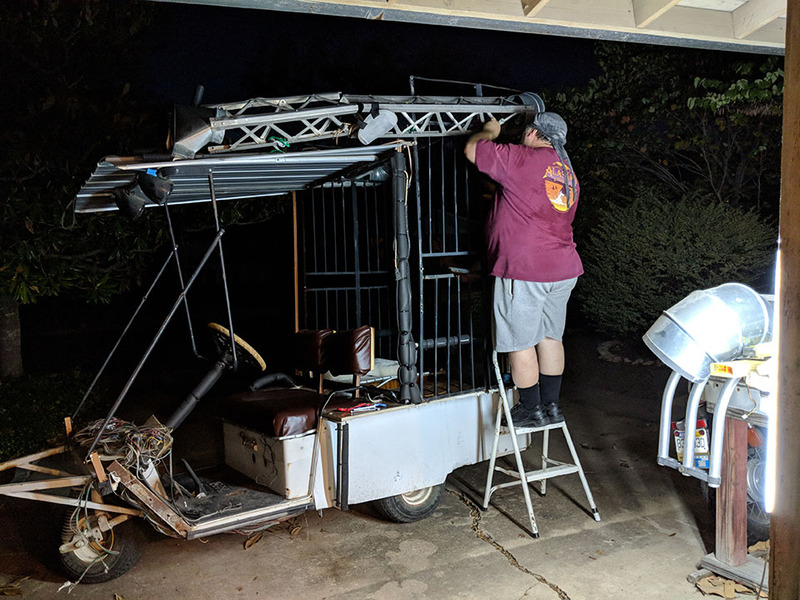 It’s a three wheeled modified electric golf cart as the base. 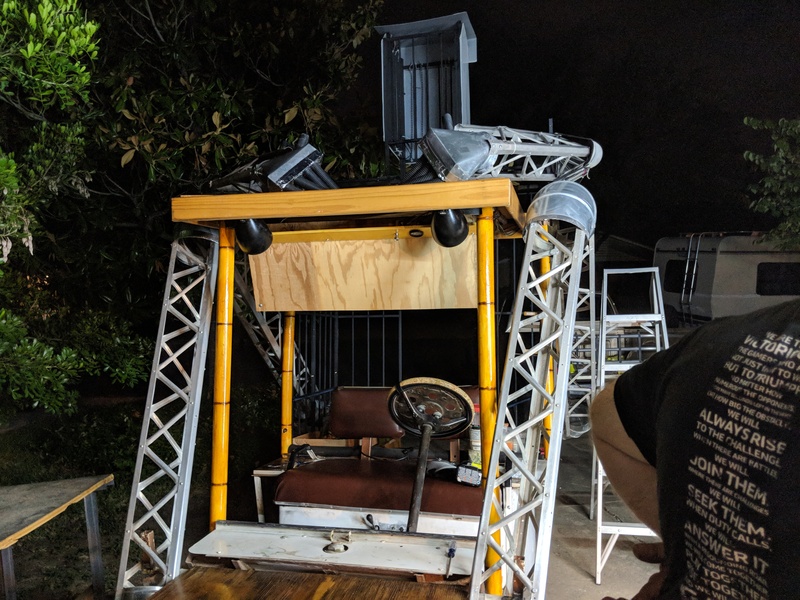 Most of the body structure is recycled parts which include a back yard gazebo, a wheel chair cover for a face and old radio tower trusses that make up the legs and arms. 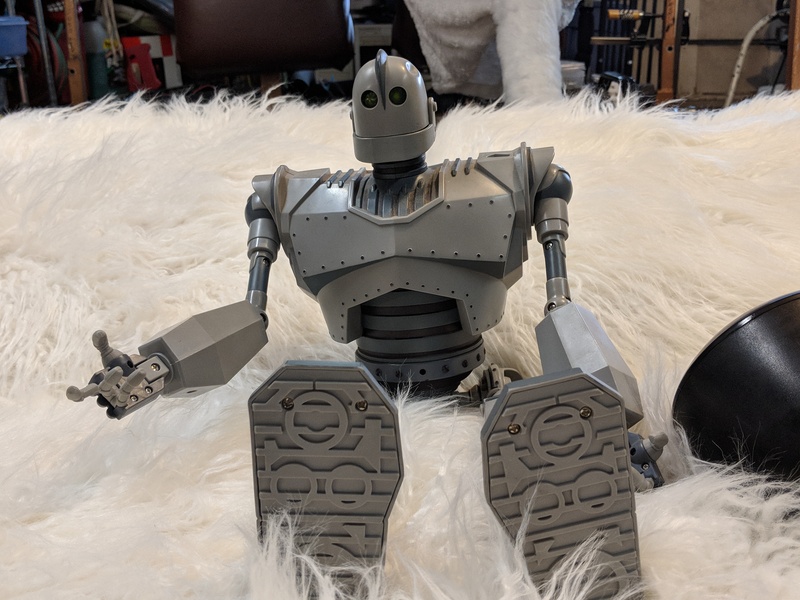 We used reflective silver roll insulation material behind the legs and arms. 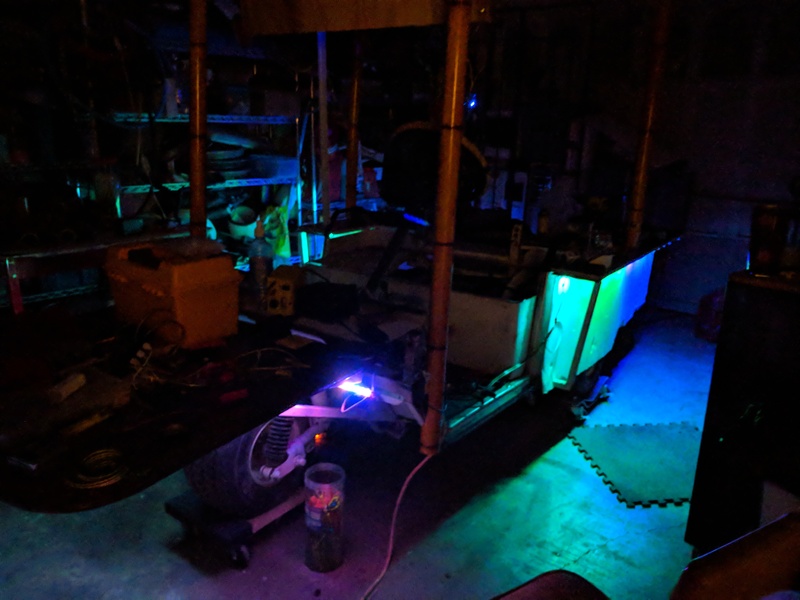 And on top of that we placed our LED strips pointed down into the body, so that the color gradients really shine as the colors change. 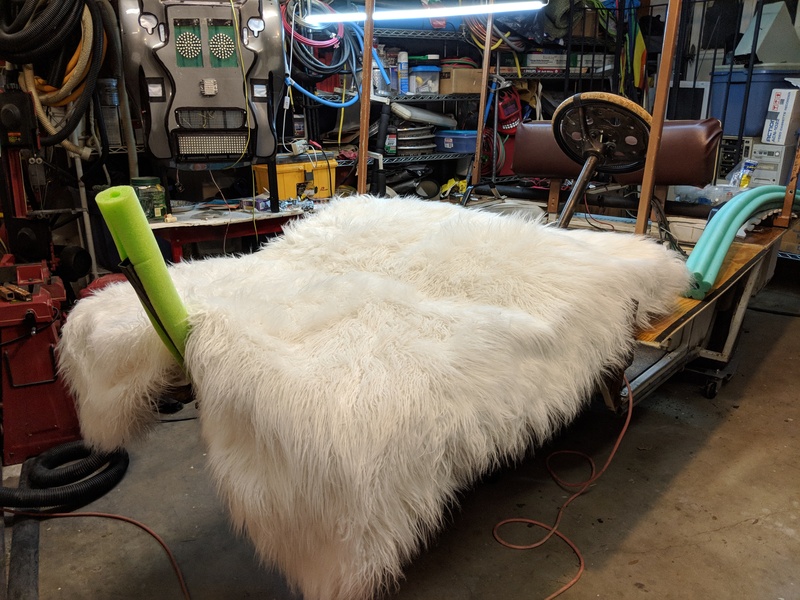 We used the same silver roll insulation to create body panels that cover some of the robot body cage as well. The robot face has neo-pixels for the eyes and mouth. The LED color changing rings for eyes make the face more expressive. SAM also has an infinity mirror heart box that sits inside the chest of the robot body. The heart shape was 3d printed and the infinity mirror is lined with LED strip that also color changes. The infinity mirror gives the illusion that the image of the heart goes on forever. The neo pixel eyes and the heart are synched so those patterns color change at the same time. 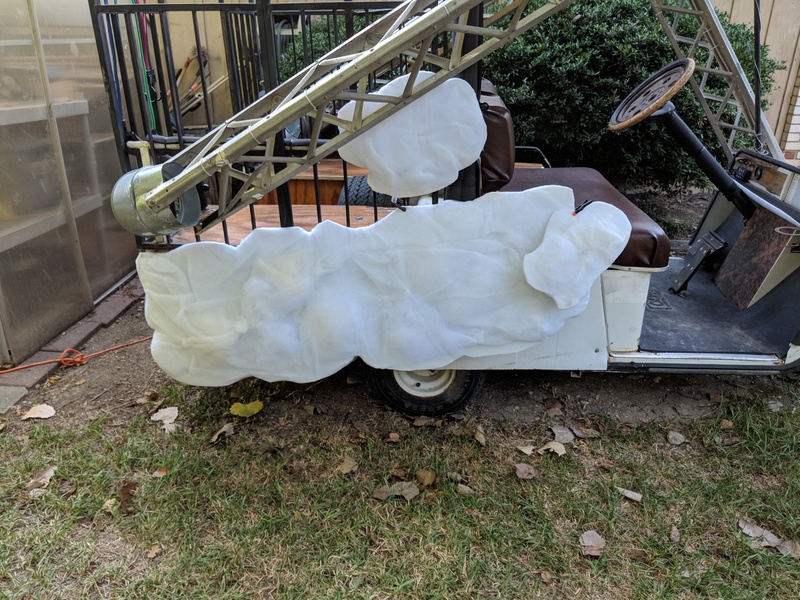 SAM started out as an electric 3 wheel golf cart as the base. We removed the rear sheet metal and bumpers to convert the rear fenders and cargo area to decks and storage. 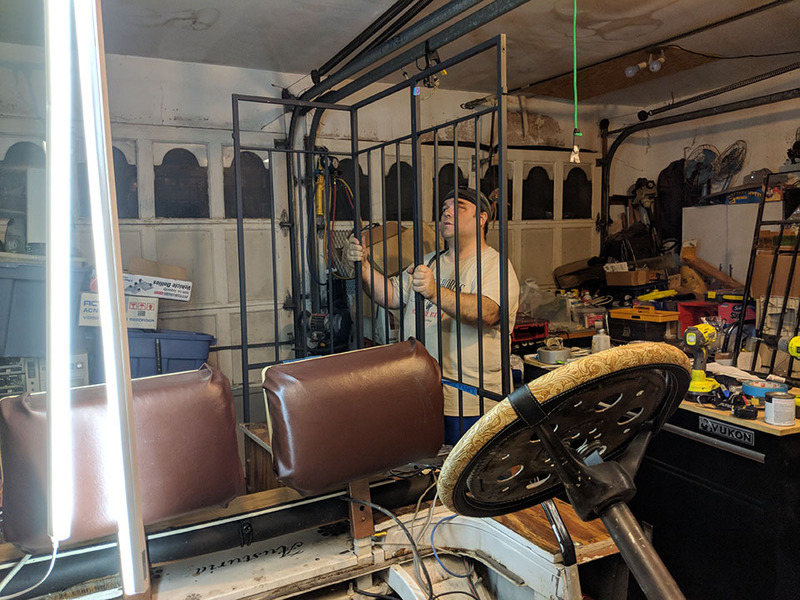 The rear suspension was lifted by adding an extra leaf to the springs and extensions to the leaf spring shackles and shock mounts to lift and support the extra rear deck length and weight. 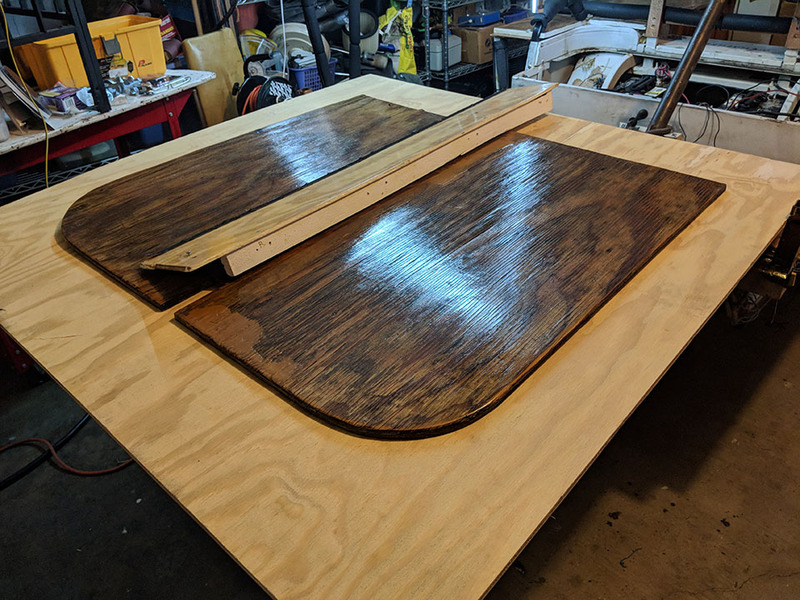 ¾” inch plywood panels where cut and affixed to the base to provide more seating area in the back that can hold 4-6 passengers. The construction also allowed for storage bay areas under the back seats. One of these compartments is where we store a Honda EU1000 generator to allow for charging of the vehicle batteries for long runs. SAM is a series-hybrid mutant vehicle. 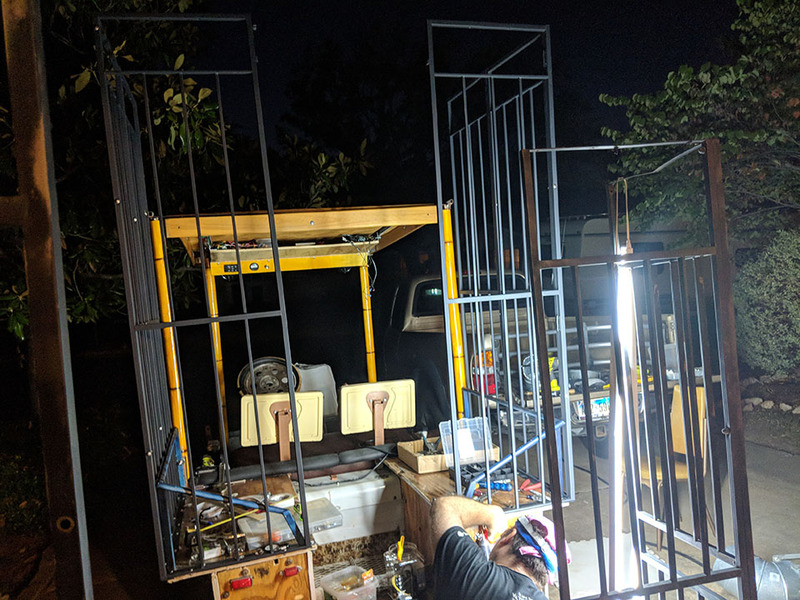 On top of the rear seating area we mounted powder coated square black metal frame panels that create the body of the robot. The frame panels were welded onto rectangle metal plates that are screwed into the plywood seating. 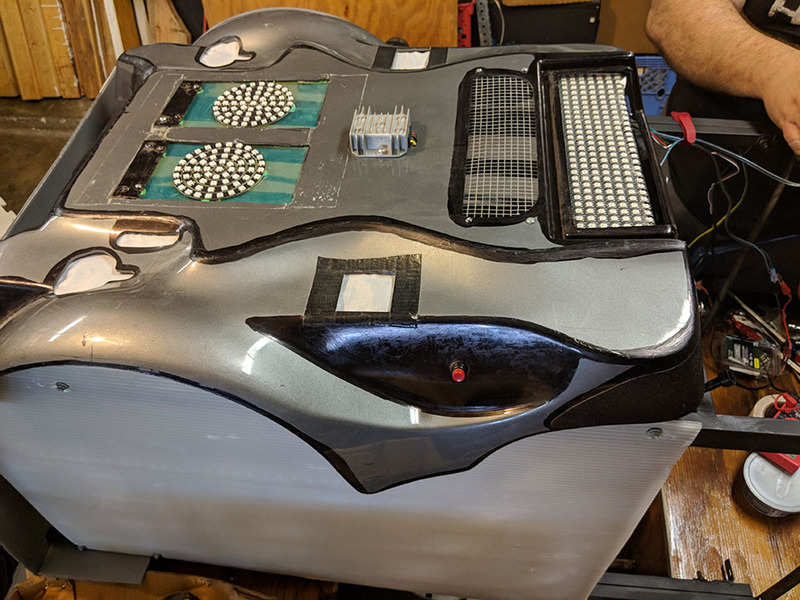 Silver reflective panels were then attached to the body frame in select sections to provide the outline of a solid robot body. Most of the body frame is open to allow for the rear passengers to view their surroundings. 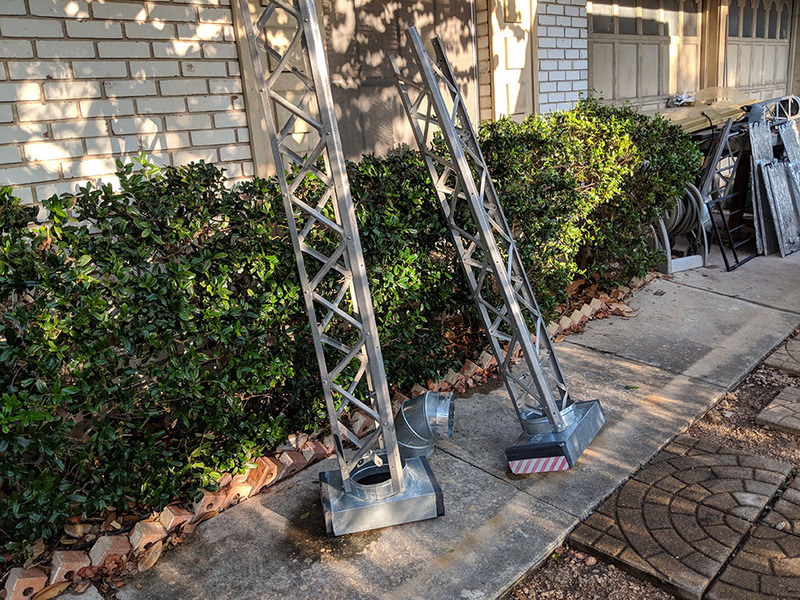 We re-purposed aluminum radio tower truss material for the legs and arms of the robot. These truss sections were attached with heavy duty screws and bolts to the robot body. The truss material is also mostly open with a criss cross pattern across the length of the limbs. Inside the leg and arm limbs we attached panels of reflective silver roll insulation as a back drop. We mounted our LED strips at the top of each limb facing down towards the reflective back drop so that the color gradients diffuse in the reflective material when the colors cycle. The head of the robot is also constructed of the same powder coated square metal panels that were cut to form the box shape of the head. The face of the robot is a recycled electric wheel chair cover that we cut out shapes for the eyes and mouth. 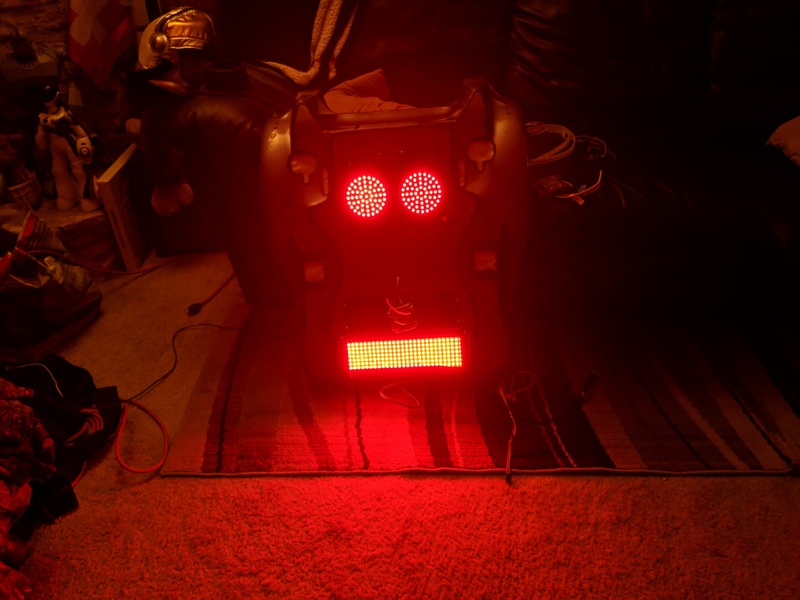 The eyes and mouth of the robot are neo-pixel LEDs which allow it to show expression. 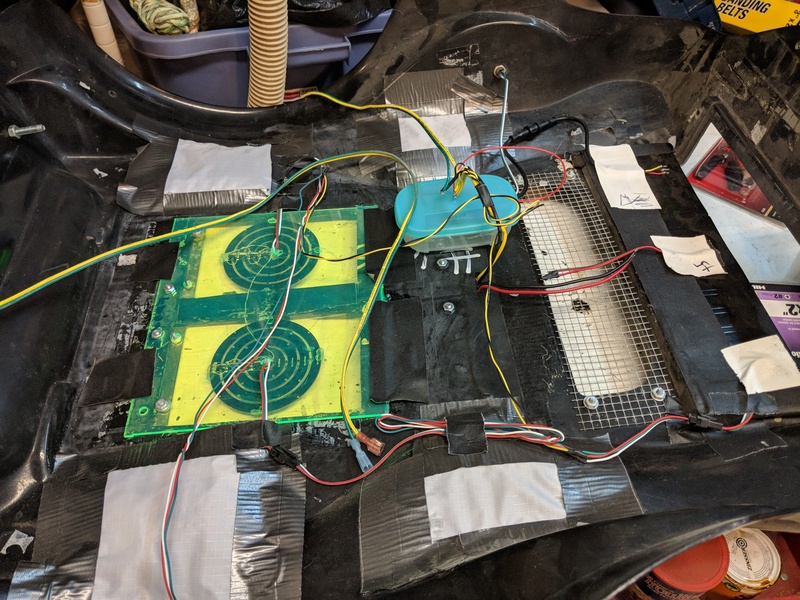 The robot head is skinned in transparent corrugated (CoroPlast) cardboard panels. The Coroplast is transparent around three sides of the head so that the LEDs color cycling are visible inside the head. There is an infinity mirror heart that is mounted inside the robot chest that color changes with the neo-pixel eye patterns. The heart material was 3D printed. 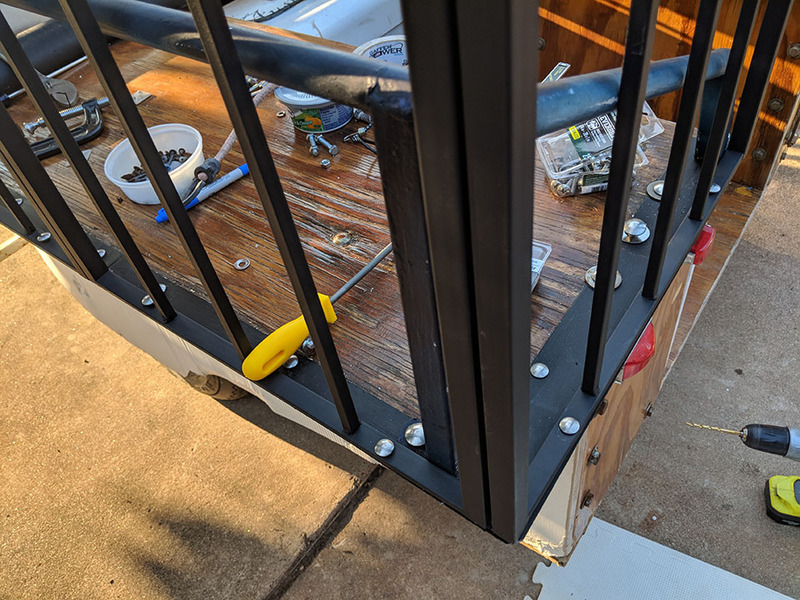 The front hood area of the vehicle was also extended structurally by welding a deck made of triangles of tubular steel to the frame base. This deck supports a plywood panel that provides additional seating or a cargo area. The bottom of the steel deck supports white CoroPlast panels to conceal the front wheel and suspension components. 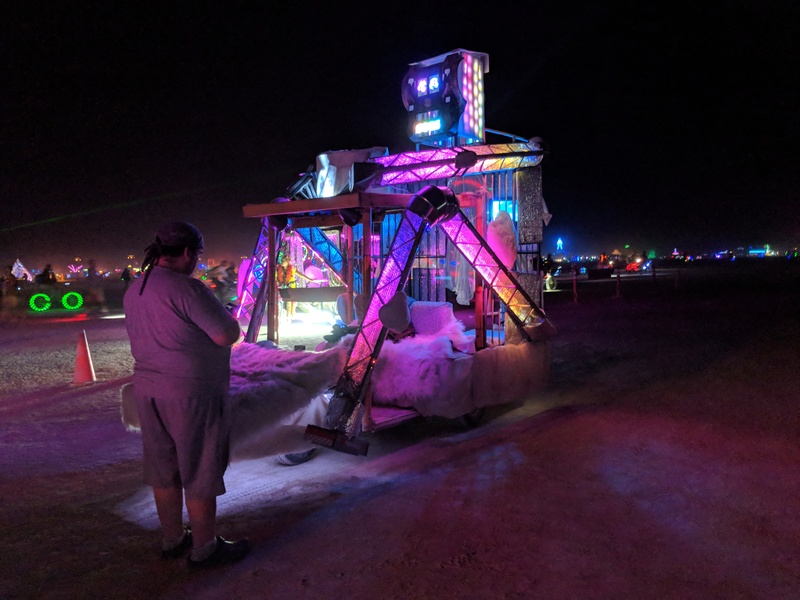 Additional modifications were made for BM 2018. We removed the front dashboard area below the steering wheel to make the front profile flatter. 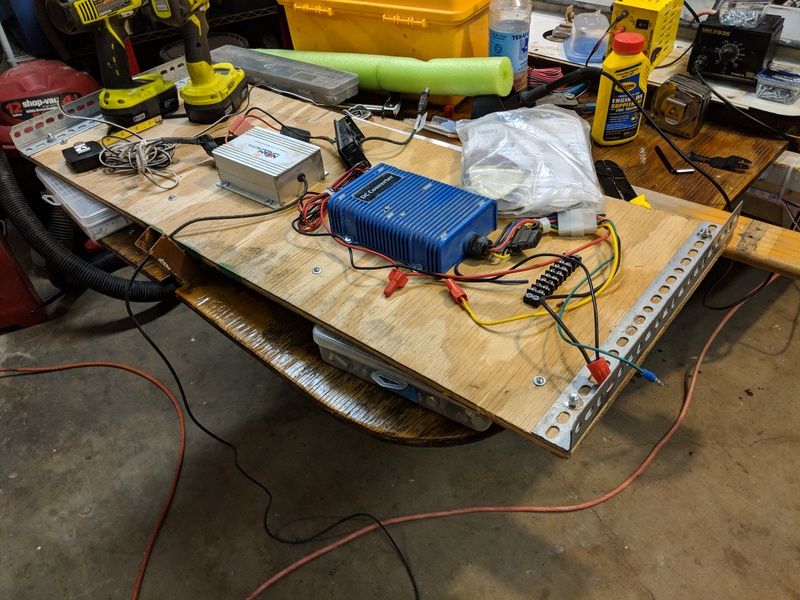 All the electronic components were mounted and wired to a control switch panel on the roof. 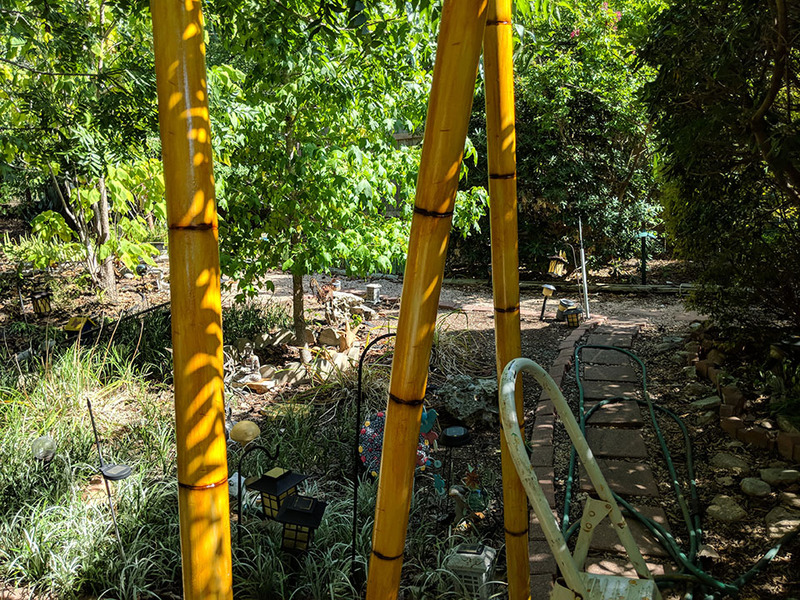 We hid the 4 roof support posts with faux bamboo pole covers. 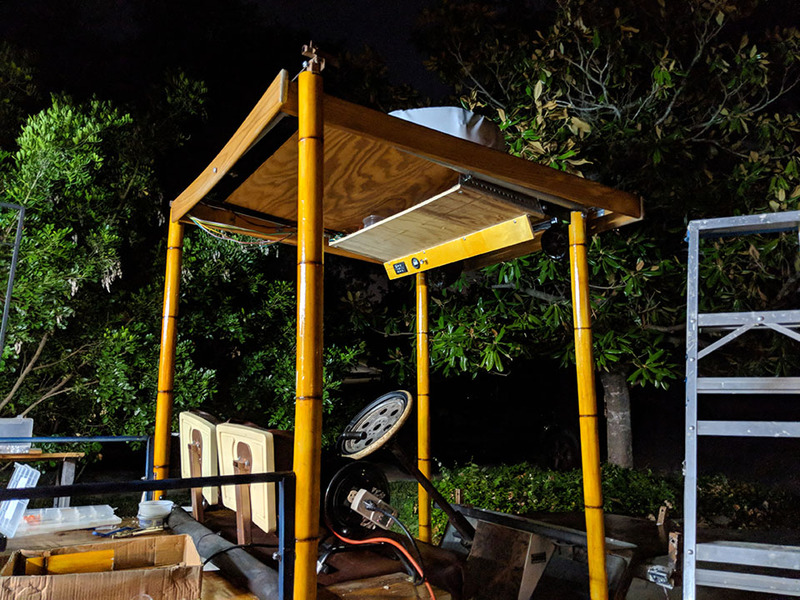 We added additional metal framing loops along the sides of the vehicle where we attached white CoroPlast cardboard panels and cloud fabric attachments to the sides to cover more of the base vehicle. Those fabric clouds were back lit with LEDs. The cloud fabric is a stretchy bunched up type of fabric that is not moopy. 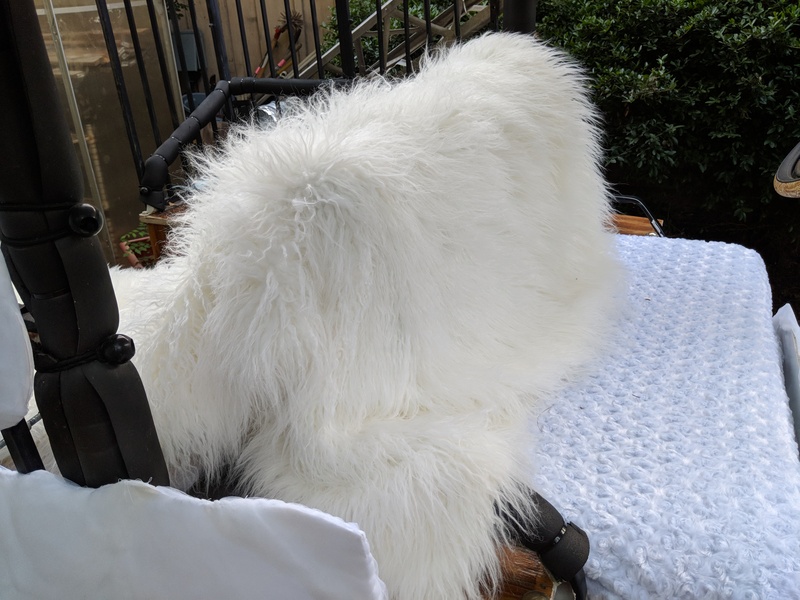 It is all hand sewn to prevent shedding. Cloud like fabrics also cover the front area steering wheel, driver’s seat and front and back seating area. This gives the vehicle the appearance that the robot is sitting on fluffy clouds tying in with our cloud enabled theme design idea.